EGG is a Volunteer English Guide Group. We guide you around Ueda city and explain about the highlight of Ueda. The latest news in Ueda. Please contact us by e-mail address below, when you need a tour guide. A range of mountains over 1000m high surround Ueda City. The ChikumaRiver, which is the longest river in Japan, flows through the central part of Ueda Basin towards the Sea of Japan. 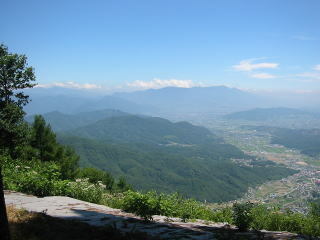 Ueda is around 460m above sea level. The climate is generally mild and the area has few natural disasters. The annual rainfall is 900mm, one of the lowest in Japan, and as a result there are over 100 artificial ponds used for irrigation in Shiodadaira, the region's granary. Ueda was first established as the provincial capital of the Shinano (now Nagano Prefecture) in the Nara Period (the 8th century). The Hojo family, one of the most important retainers from the Kamakura Shogunate, introduced the Kamakura culture to this area in the 13th century. 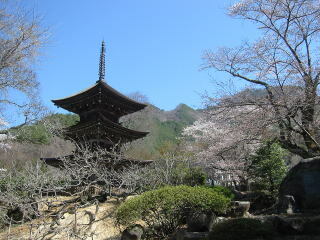 Many buildings from this period can still been seen to today, such as the three-storied octagonal pagoda of Anrakuji temple, which is designated as a national treasure. 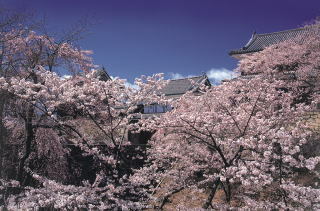 During the Sengogu period (the 16th century), the feudal lord Sanada Masayuku constructed Ueda Castle. His son Sanada Yukimura, became well known through out Japan as 'the top soldier in Japan' for his excellent exploits and the strength in battle. From the 17th century to the middle of the 19thcentury (the Edo period), Ueda prospered as a castle town. The original town now forms the central part of Ueda city. Ueda was given city status after merging with neighboring towns in 1919 and went on to become one of the top silk-producing areas of Japan, prospering as the 'Silkworm Capital'. Ueda City now has a population of 126,000 and is the third largest city in Nagano prefecture. As well as boasting a long tradition as a castle city, it also promotes science and research in information technology.